WARNING! This blog contains laboured analogies and may even be harbouring a conceit. 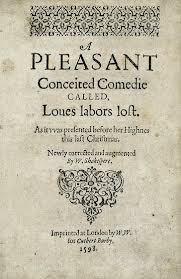 Aptly enough, this is what came up when I entered ‘laboured conceit’ into Google Images. Along with a lot of images of Hollywood actors. Around this time last year I finished what I had decided to be the definitive draft of my first novel. It has been through six extensive rewrites and polishes and it was functioning as I wanted it to: telling the story I wanted to tell, best words in the best order, laying the groundwork for its sequel (which I had already started to develop). The world of the novel is a fascinating one and writing one is a journey of self-discovery. It’s like becoming embroiled in a new relationship: you meet someone new and they are very attractive. You’re intrigued. But instead of sitting them down and doing extensive research into your levels of compatibility, you get drunk and jump into bed with them straight away. No need to worry – the minor details will reveal themselves over the course of your long and fulfilling relationship. Writing a first draft is much like this – you’re in love with the big picture, with all of the possibilities inherent in your fascinating story and you can’t wait to uncover them. Of course it’s all a skewed reflection of your own narcissism projected onto someone else, but hey, isn’t love lovely? Then the honeymoon period comes to an abrupt end. You realise you don’t know important aspects of your story. This story could be an axe murderer for all you know – and the aspects that at first seemed so charming could quickly become dull or banal. You have to make the crucial decision – is there anything to salvage here? Should I stick with it? If you do, it’s a process of getting to really know your story, to try and smooth out its rough edges (this part of the analogy doesn’t apply to relationships – you can change books but not people). The drafting process is about trying to uncover the deeper kernel of truth at the heart of your work – the emergent story that needs to be liberated from the hysterically besotted mass of waffle that is your first draft. I managed to do this, or so I thought, and sent the book to some agents. Then I began the second novel. I quickly realised that I’d learned a huge amount about my story over the six drafts or so I’d written of my first novel. The lessons I’d learned were impacting on my second novel in an intriguing way, keeping the plot moving swiftly along, allowing me to draw my characters with conviction and ease. But it also dawned on me that very little of this knowledge had been reflected in the draft of the prior book I’d sent out to agents. I foostered about for a while, thinking about starting the rewriting process all over again until a few weeks ago, when an agent came back and listed the same reservations I had about the first book. She said a lot of positive things as well and has asked to read a re-write, and offered to read the second book as well. But I have a lot of work to do. Strangely, I’m quite excited about this work. I think if I can manage it, I will feel a finally have a handle on my story. I’ll have a coherent and interesting vision for the world of the novel which people should hopefully respond to. And I’ll have a first novel that matches its sequel in terms of overall vision, thematic concerns and plot consistency (smooth rather than lumpy). I spent the weekend identifying the aspects of the plot which weren’t working, or had become irrelevant in the wake of plot developments in the second book. Now I have to resign myself to the Domino Effect; each aspect of the book that I fix will lead to a series of other minor issues which will in turn need attention. It’s like Chaos Theory. Or pulling a thread on a sweater. (I’ll leave these as nice simple similes rather than going the analogy route, because we all have something better to be doing). But the good news is that in draft seven, I’ve realised I still have feelings for my book, even after all we’ve been through.